As the UN Commission on the Status of Women (CSW) meet this week, ChildFund Ireland reflects on our work in helping women through community programmes, health initiatives and measures to tackle Gender Based Violence. International Women’s Day on Saturday the 8th of March offered us all a time to reflect on progress made, to call for change and to celebrate acts of courage and determination by ordinary women who have played an extraordinary role in their countries and communities. In his message for the Day, United Nations Secretary-General Ban Ki-moon declared: “The evidence is clear: equality for women means progress for all”, emphasizing how gender equality, empowerment of women, women’s full enjoyment of human rights and the eradication of poverty are essential to economic and social development. He also stressed the vital role of women as agents of development. With the 2015 deadline to achieve the Millennium Development Goals (MDG) around the corner, International Women’s Day is also an opportunity to review the challenges and achievements in the MDG implementation for women and girls, as the Commission on the Status of Women (CSW) will be doing from 10 to 21 March 2014. Click here for more details on this discussion. ChildFund Ireland works to ensure that sustainable development in communities benefit children, and increasingly women are taking a strong participative role through our Communities Caring for Children Programme (CCCP), which is being implemented in three countries in Africa – Ethiopia, Mozambique and Uganda – and is funded largely by Irish Aid. The programme targets pre-school children and their careers in an effort to provide appropriate early childhood health, education and psycho-social development opportunities at home and in centres where early childhood care and development (ECCD) activities are made available. The programme team in each country is taking the lead in one of the three focus areas: early childhood development; village savings and loans; and advocacy. Working with experts, the teams work to develop best practices in their area, organising training to establish and improve practices where relevant, and sharing this knowledge with the teams in the other two countries. 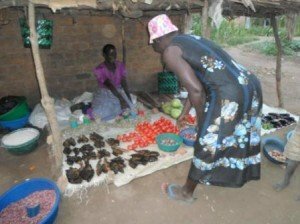 Our Village Savings and Loans programme has helped Agnes Akello, who lives in Kiryandongo District in Uganda, to improve her family’s living conditions and become a role model in her community – read the full story here. Agnes was able to expand her businesses, improving her family’s life conditions and becoming a role model in her community. HIV is also addressed across our programmes. In recent years efforts to fight the effects of HIV in many parts of the world have been very effective and reports consistently show that lives are being saved. However, HIV and AIDS continue to pose serious threats to development. The global total of people living with HIV stands at 34.2 million. Young people aged between 15-24 account for 40% of all new adult HIV infections and infection rates in young women are twice as high as among young men. As part of our programme, ChildFund Ireland provides for maternal health clinics, training health workers and health education for mothers to combat the spread of the disease and help protect young women through education on prevention and treatment. With its strong commitment to the prevention of violence and exploitation of children, ChildFund Ireland has been an active member of the Irish Consortium on Gender Based Violence (GBV) since shortly after the Consortium was established in 2004. Our commitment to combatting GBV is reflected in our Equal Status, Gender and Child Protection Policies. This is particularly important in places where women’s position in the family, community or society is lower than men’s, or where women or girls are faced with gender based violence. Efforts to combat gender based violence are specifically included in ChildFund’s development and humanitarian actions, starting with measures to ensure that even the youngest children in our programmes are protected from this monstrous type of violence. As another International Women’s Day is celebrated, we must continue to keep focus on assisting women and girls to become role models in their communities. 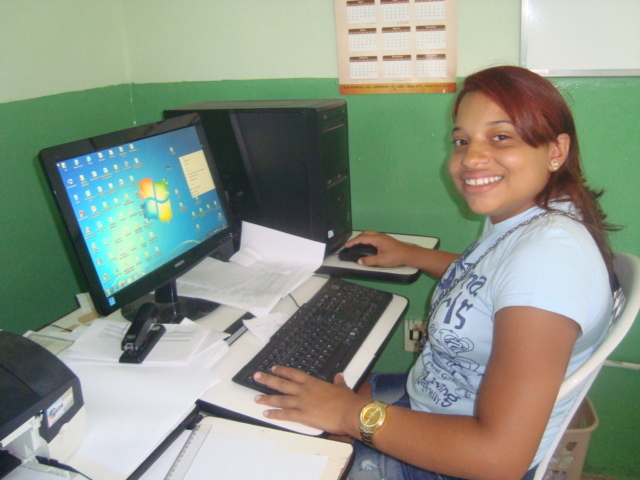 Child sponsorship is a powerful tool to help ensure a brighter future for young women, as it was for Natacia in Brazil. You too can make a difference: sponsor a child today! For more information on our programmes, click here.